Our large cabins in Gatlinburg TN are some of the most amazing vacation spots your group or family could ever ask for. You can delight in our diverse selections that satisfy all of your needs and reasons for staying in the beautiful Smoky Mountains. We can help you make your decision an easy one by giving you our list of the best reasons for choosing one of our cabins! Whether it’s a wedding or a sporting event, we have comfortable accommodations that go a long way towards making sure your event is a successful one. Our largest cabin is the ​All-American​, and it sleeps up to 41 people easily with 9 bedrooms that will come in handy when it’s time to end your big day! Quite simply, this cabin has everything you’ll need and more! 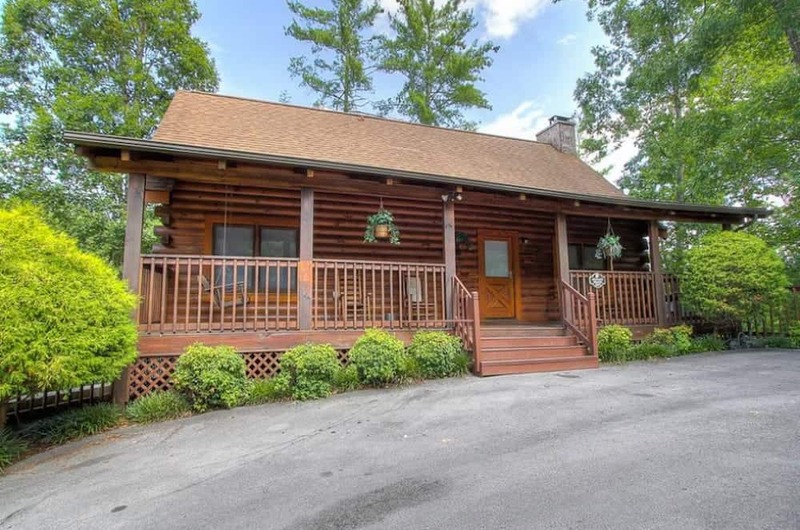 Since you worked super hard to plan a vacation to the Smoky Mountains, our large cabins in Gatlinburg TN will allow you to think big when it comes to traveling in style. Even though you may not need the extra space for your family, you’ll love all the bonus treats these cabins have to offer, from theater rooms to game tables. The amenities in your temporary living space won’t give you one ounce of regret in splurging a bit! If you’ve never been here and always dreamed of going, or you can’t seem to get enough of the Smoky Mountains, our cabins are perfect for your fixation on this lovely landscape. Many of our visitors rave about the scenery, but they’re also seriously happy that there’s plenty of outdoor attractions like ​Anakeesta​, or indoor fun such as WonderWorks​ to raise the family fun levels! We all struggle to keep our own homes clean when time and energy are simply nowhere to be found. Luckily, our large cabins in Gatlinburg TN are surrounded by comfort and cleanliness from the very beginning. And this means you don’t have to struggle to maintain this level of work, since we have a dedicated staff that does an excellent job preparing you for the comfort you’ve always desired! To sum it all up nicely, all of these reasons should result in a vacation that involves plenty of peace and relaxation. A cabin vacation should make this a certainty! When you’ve done everything you can possibly do as far as attractions, making sure your event ran smoothly, or hiking the trails in the mountains, there’s nothing better than coming home and enjoying every single wonderful aspect of your cabin for a few days. Now that’s a memorable vacation indeed! It’s up to you now to select one of our large cabins in Gatlinburg TN to get the benefits of every single one of these reasons. Get moving on the vacation of your dreams and book now​ for some real unforgettable memories!